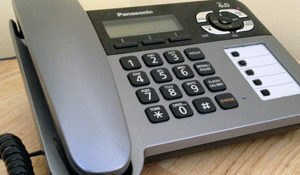 Our deluxe package includes a local phone number with a voice and fax mail box or forwarding to your 800#. The number will be listed in the white and yellow pages of the Nevada directory. Also included are a local business license and U.S. Mail forwarding of up to fifteen pieces per month. Our phone services are offered exclusively to our clients, as a fulfillment service, with the intention of assisting them in preserving their corporations domicile in the state of Nevada. A local Nevada phone number is one of the essentials of maintaining the “Corporate Veil”. Additionally, your local phone number should appear on your corporate letterhead, business cards, licensing documentation, checking account, etc.. You, the client, are in complete control of your phone number(s). You record your own greeting and retrieve your messages/faxes as needed, or we will forward your local Nevada phone/fax number to your 800 number.